It’s been an uphill climb in recent weeks, but I finally eclipsed the .500 barrier in the Las Vegas Westgate SuperContest. A nice 4-1 ATS week, combined with a 3-2 mark in week 8, has pushed me over the .500 mark. This week, though, could be difficult to navigate with oddsmakers tired of favorites covering. Big favorites are the story of week 10 in the NFL season. Here’s my week 10 NFL picks, featuring three favorites to watch in this week’s SuperContest. I know I should be worried about Los Angeles being on the road for four consecutive games (who in the world is in charge of scheduling for the NFL?). But I just can’t shake the fact that Oakland has given up on this season. Los Angeles is really good, and showed that in week 9 against Seattle. After a convincing road win against Cleveland, followed by a slim margin of victory in London, the Chargers returned to the West Coast last week with a nice win at Seattle. Los Angeles is dominant on both sides of the ball at the moment, averaging 7.7 yards per play in the last three games, while giving up just 5. They rank in the top-10 in both categories in the last three games, so I’m backing that against an Oakland team without an identity. We’ll stick with the Los Angeles teams favored by 9.5 points. Week 9 should be a wake-up call for the Rams. 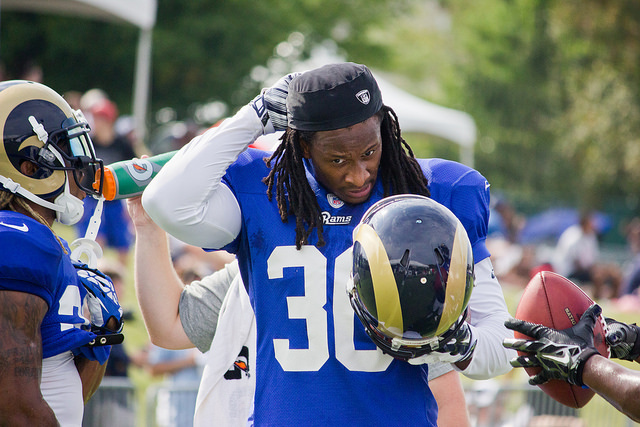 That defense needs to improve in a hurry for the Rams to make a deep run in the postseason. Thankfully for the Rams, the tools are there to be a dominating defense. And against a Seattle team that leaves a lot to be desired on the offensive side of the ball, I like the Rams chances at making an impact. Seattle is not as good as many perceive. The offense goes quarters without moving the ball. The passing game isn’t good enough to consistently move the chains and the offensive line can’t maintain a quality running game. And defensively, this is not the same team we’ve become accustomed to seeing in Seattle in recent years. During this time of year, health plays a major role. While the Lions currently are adding starters and depth options to the injury report, the Bears are beginning to welcome back some previously injured players. Khalil Mack and Allen Robinson returned as full participants to practice Wednesday, so their status should be good to go for the week 10 matchup against Detroit. That will be a welcomed sight for a defense already with a major advantage against Matthew Stafford and company. It will take a few weeks for Stafford to adjust to life without Golden Tate, and he couldn’t have picked a worse two-game stretch than currently available with road games against Minnesota and Chicago.